So, do all of these data points mean that retail space for lease is alive and well? Columbus, Ohio may have something to say about the prospects for retail! For outsiders looking at retail space for lease in Columbus, Ohio, all signs point to an upward trend. Most recently, Business.org ranked Columbus as fifth in the list of top ten cities for entrepreneurs and startups in 2018 with the city boasting the highest percent of startup growth among other major cities. There is no doubt that Columbus has quickly grown into a dynamic and prosperous community. And, to keep up with the pace of prosperity, the city has worked to build amenities and opportunities that match the growing needs of the population. mobility assistance, for public transportation users with disabilities. encouraging $8 billion in capital investments. The state of Ohio has already proved itself to be an optimal location for major retail headquarters by housing several Fortune 500 companies such as L Brands (i.e., Victoria’s Secret and Bath & Body Works), Big Lots, and Kroger. Additionally, Amazon’s two recently-implemented fulfillment centers in Ohio created approximately 6,000 more jobs for residents. Push pause before you become part of the crowd convinced that online retailers are putting other companies out of business, though. CNBC recently reported that major companies are continuing to open new stores each year, and these companies admit retail success is tied to brick-and-mortar stores. 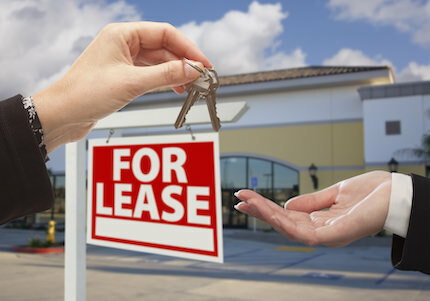 So, what does this mean for budding businesses seeking retail space for lease in Columbus, Ohio? A recent article in Forbes explains that affordability in our region is a critical factor for retail success. Cost of living in Columbus is approximately 10 percent lower than the national average. As such, the area is a prime location to not only start a business but to also grow it. The resources that the aforementioned Fortune 500 companies needed to open and thrive are the same assets available to any entrepreneur or business. Advantages for Columbus include affordable costs, improved city transportation, a thriving community, and expanding residential and commercial properties available. For business owners and investors alike, Columbus features unrivaled characteristics. This proves that the existence of these large employers has contributed to the overall success in Ohio. No wonder why small businesses and startups are encouraged to choose Columbus as their home! If you are searching for retail space for lease in Columbus, Ohio, you’re in luck. We have some fantastic opportunities in Downtown Columbus, which will ensure high brand exposure and significant foot traffic for your establishment. Retail space for lease, 850 N. High Street. Nestled in one of the most in-demand retail areas in Columbus, this 1,200-square foot available retail space for lease in the Short North Arts District is perfect for your storefront. This property is conveniently located with easy walking access and is situated directly across from The Dakota lofts and condos. There is also a parking lot located in the rear of the building. This retail location is available for lease at $40/SF. HighPoint on Columbus Commons, a mixed-use development centrally located in the heart of Columbus, has led to the successful resurgence of our Downtown community. Restaurant space for lease, 150 S. High Street. With over 1 million square feet of office space with hungry tenants living above, HighPoint on Columbus Commons has the perfect space to establish your restaurant, bar, or eatery. Our 6,000-square foot listing is also accessible to 300 residential apartments within the development, as well as one block from Capital Square Tower. At $28/SF, this retail rental space is move-in ready with some kitchen equipment included. Retail space for lease, 190 S. High Street. Access to 9,000 residents and 100,000 daytime workers will ensure that your retail shop flourishes at HighPoint on Columbus Commons. Our 2,600 square feet of retail space available is one of the last remaining parcels in the entire HighPoint development (in addition to the restaurant space for lease mentioned above). We’re confident that the High Street storefront will not stay vacant much longer! The property at 190 S. High Street also offers beautifully landscaped surroundings as well as proximity to a wide-open public space. And, don’t forget about the pedestrian tunnel that connects High Street to Columbus Commons. Have we convinced you that Columbus, Ohio is the perfect place to establish your storefront? Our thriving community almost guarantees that a retail business can start up, grow, and prosper. All you need to do now is contact a trusted professional with knowledge of the community to show you around. The Robert Weiler Company has been part of the Columbus fabric as a family-owned CRE firm for over 80 years. Who better to show your retail store its new home? Reach out to one of our commercial real estate brokers at 614-221-4286 to uncover impressive retail space for lease in Columbus, Ohio (or throughout Central Ohio).